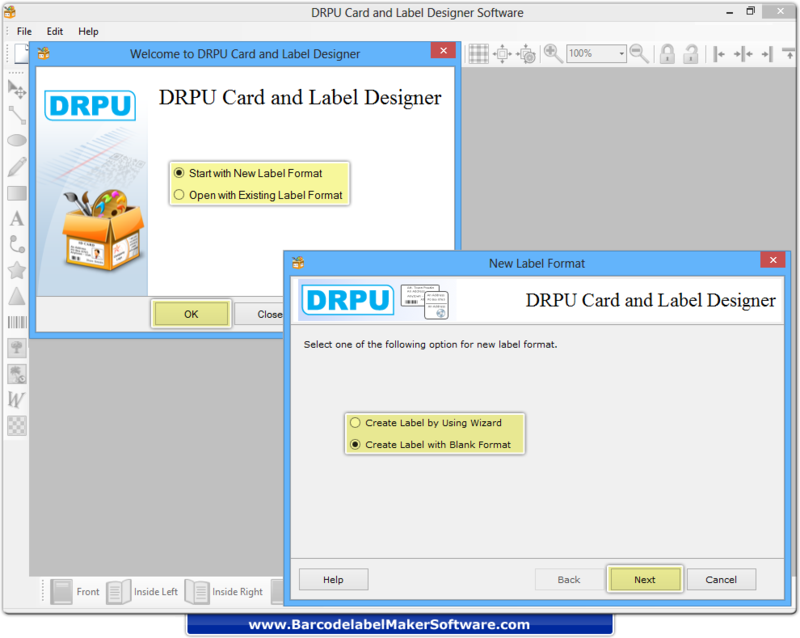 Select start with new label format option then click on “OK” button to proceed. Select any on option then click on “Next” button. 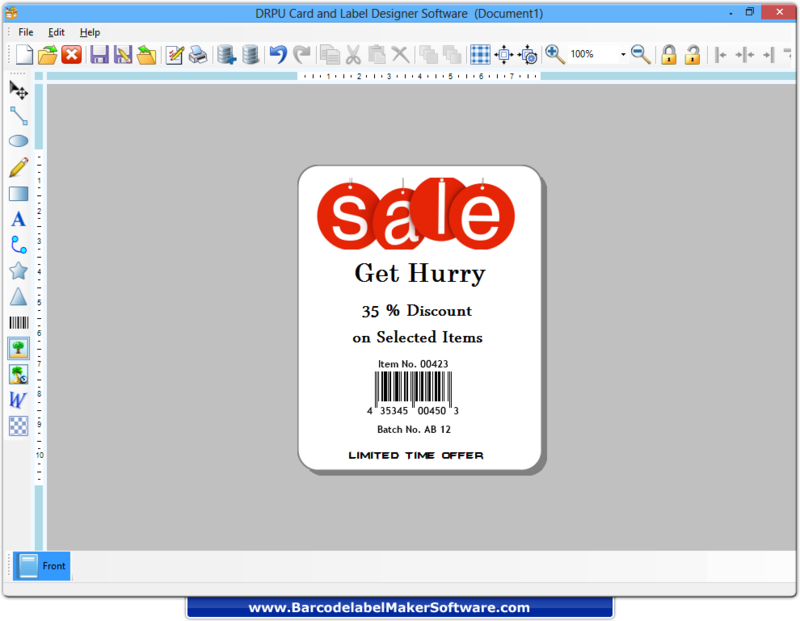 Specify Name, Label size and label shape then click on “Finish” button. 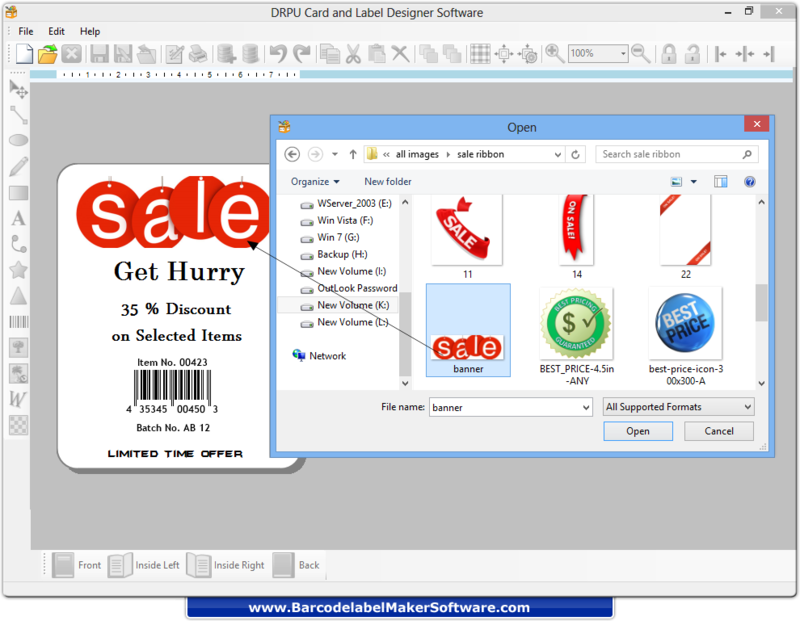 You can insert image on label by browsing image from local hard disk. 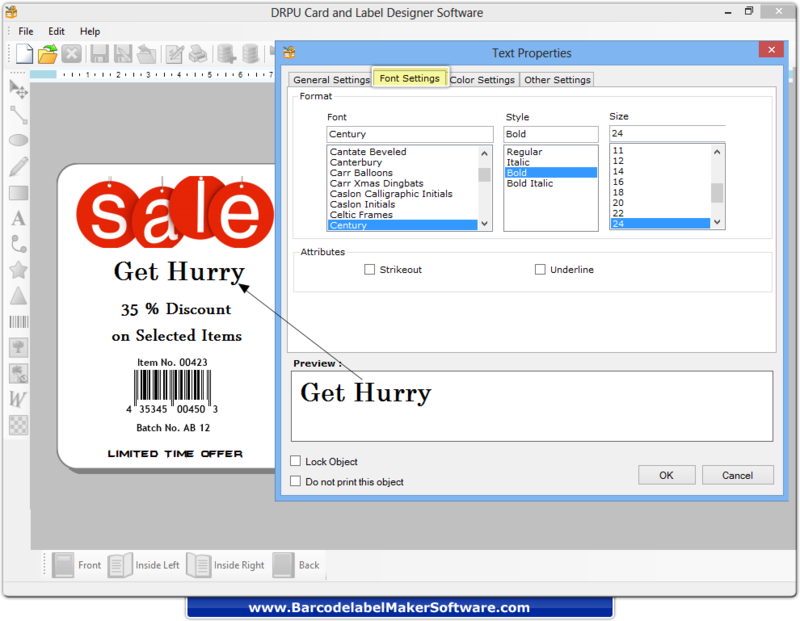 Set font, font style and font size using font settings tab from text properties window. 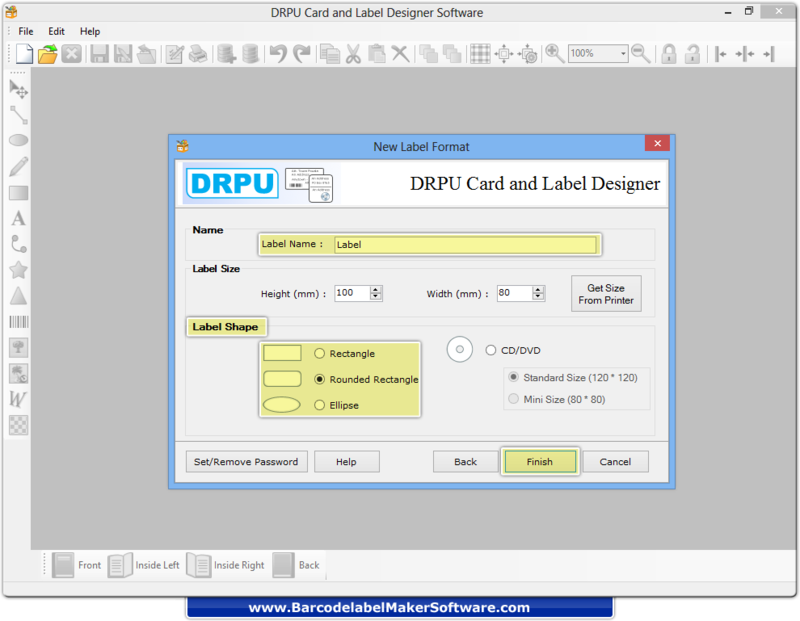 Above screenshot displays front view of label designed by DRPU Card and Label Designer Software.